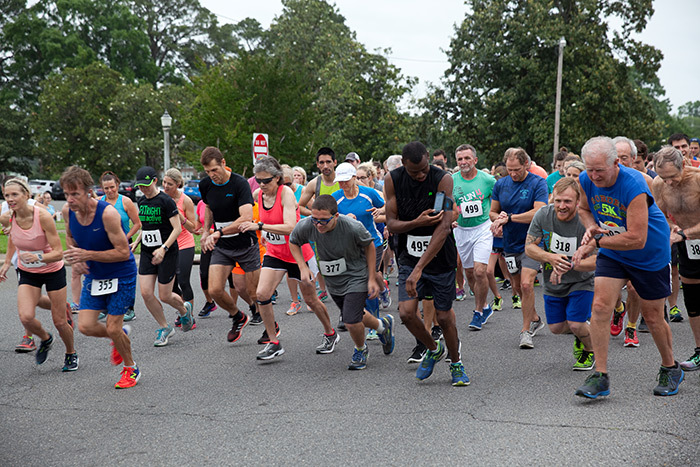 Saturday, April 29th was a perfect day in Monroe, LA – slightly overcast with a light breeze – for our annual Run For Mercy 5K and Family Walk. 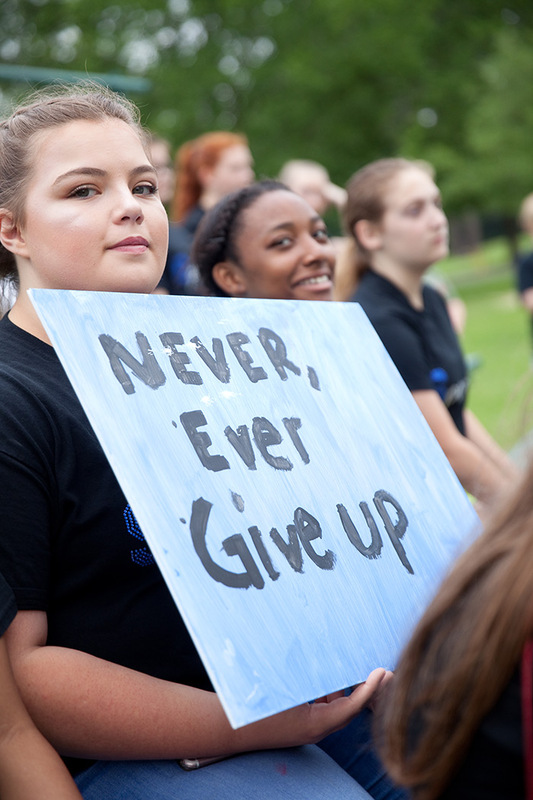 The event brought around 200 people together for a cause: run or walk to help hurting girls walk in freedom. 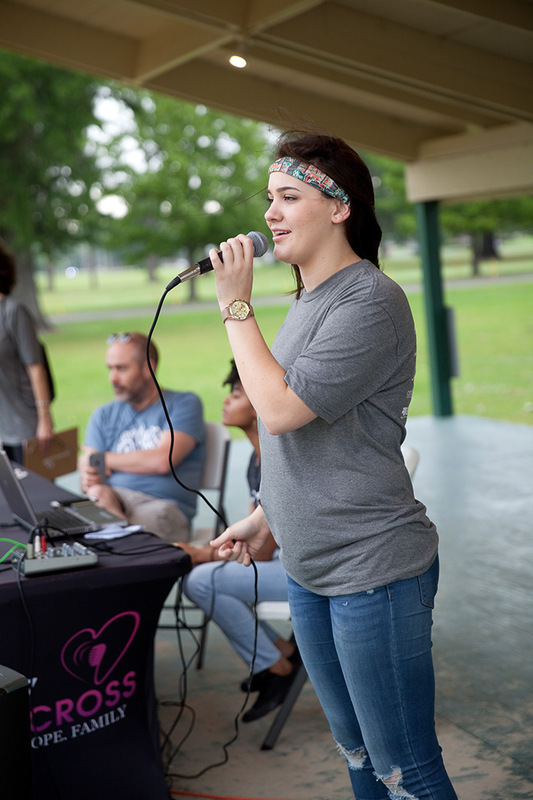 Monroe area vendors gathered to be at the event, including: Fleet Feet, Raising Canes, Chick-Fil-A, and Henry Bruzeau of Miracle Massage Mobile. A total of 139 people were timed in the race, with the overall winner being Michael Fronsoe with a time of 19:52. A 2014 Mercy Graduate, Holly, spoke at the event, sharing how God transformed her life at Mercy. The event also had fun activities for those not running. 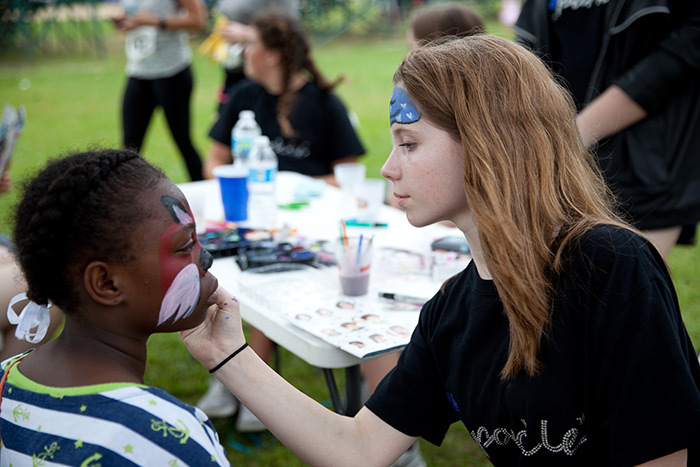 There were free balloons, face painting, and temporary tattoos provided by a special group of young women, the Sterlington Sparkle. The group “Sparkle” from Sterlington Middle School volunteered their time to help with the race. The group of girls had the opportunity to vote on an organization they wanted to serve and volunteer their time for, and overwhelmingly, the group chose Mercy Multiplied. 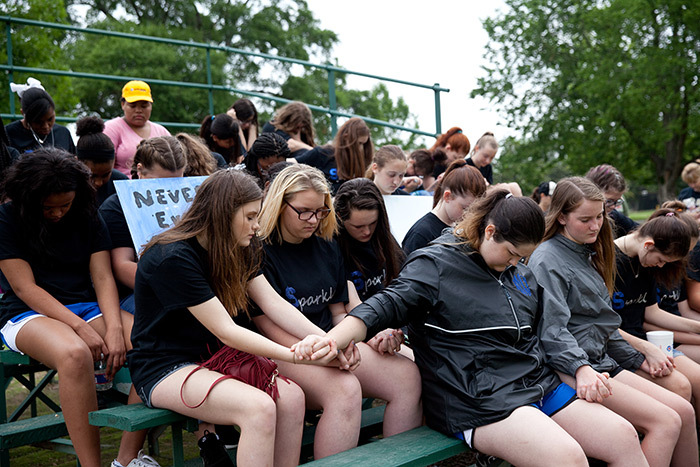 “We simply provided the opportunity, and the girls have stepped up with hearts ready to serve,” said Amy Weems, Assistant Principal at Sterlington Middle School. 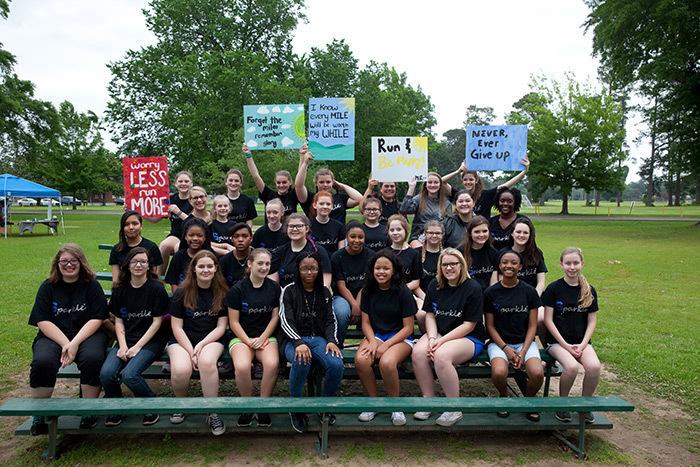 The group, Sparkle, started when Weems and other Sterlington faculty identified a need to help girls with leadership potential who have not plugged into the school culture in other ways. The Sparkle group provides fun, positive experiences that help their members to grow in character, manners, and service. 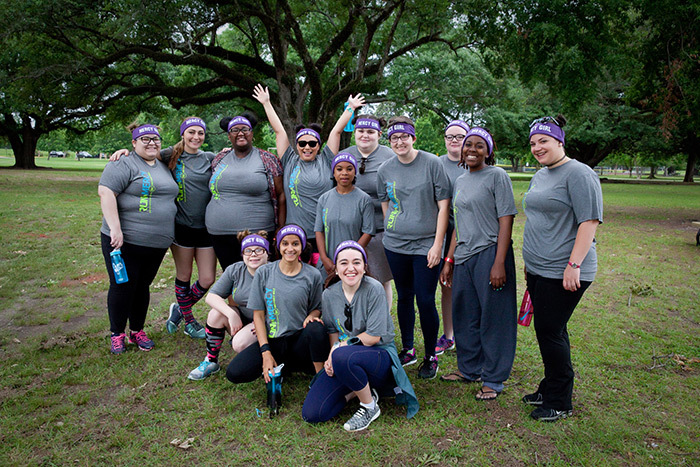 Sparkle stands for, “Super Positive Attitudes Result in Knowing all Ladies are Excellent.” Sparkle supervisors have taken them to do a myriad of activities, such as jewelry-making, canvas-painting party, and visiting antique shops. The group will also be visiting the Mercy home in Monroe to see the residents and see the home in action. 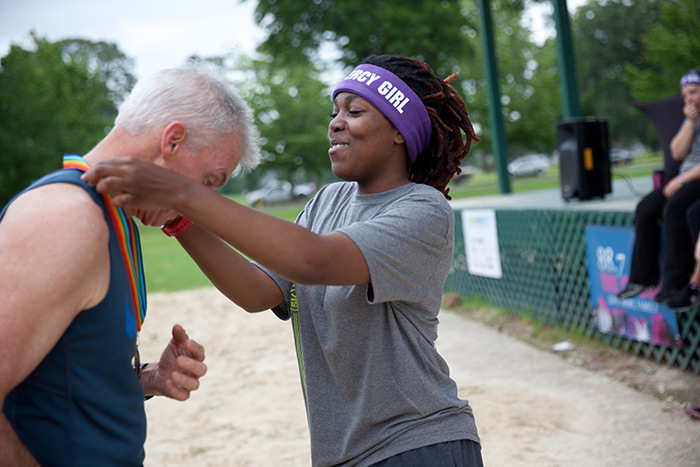 “I was very inspired by the Mercy girls, as well as those in the race. I was so thankful to be a part of this, and I had a lot of fun cheering people on,” said Emma, an 8th grade Sparkle girl. Mercy Multiplied is incredibly grateful for the Sparkle girls and everyone that generously volunteered their time to help with Monroe’s Run For Mercy. If you would like to volunteer, please check out our website for opportunities.